1. What kind of photography do you offer? Documentary, I focus on capturing authentic and beautiful story-telling photos of you and your family. 2. What’s the difference between a lifestyle session and a portrait session? Lifestyle sessions are designed to tell the unique story of your family, and they are often located in your home and may include a family outing. These sessions are individually tailored, and I’d love to hear more about what you have in mind. A portrait session is a more classic approach, often located at a park with the focus on capturing great portraits in a shorter time frame. 3. 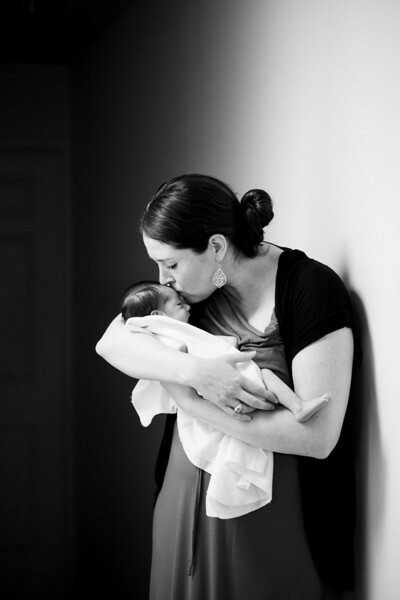 How does birth or adoption photography work? Will you really be there photographing, um...the whole thing? And what if I go into labor at the same time as another client of yours? There are very few experiences more incredible and life-changing than the birth or adoption of your child. The event is so much more than the “one moment” the baby is born or the papers are signed, and I focus on capturing the emotion, love, anticipation, joy and every other feeling that is present in those hours. Having experienced my own daughter’s birth being photographed, I personally know the power of those photos and how precious they are. I will only take on a couple of births a month to avoid two clients going into labor at the same time, but should the situation arise, I would send a backup photographer to the client who goes into labor second until I reach them. Or, I can also offer credit for a newborn session. 4. Do you still photograph weddings? What about engagement sessions? While I loved photographing weddings for seven years (and still do), right now I’m looking to photograph families. I may photograph a few weddings per year on a case by case basis. If you would really love me to photograph your wedding, please do inquire and we can talk. And yes! I would love to photograph your engagement session...I would just probably not be able to do the wedding. You can view mywedding andengagement work on my blog. 5. How much do your sessions cost? Pricing varies by the type of service you’re looking for. Session fees begin at $175. I’m happy to share complete pricing when you inquire.